Whether you are a seasoned or beginning DIY-er, getting an air compressor should be on your list of must-buy items this Black Friday & Cyber Monday. They are usually sold at a high price on a regular day but this week, you won't believe the discounts and deals you can get.To help you pick the right product for you, here are the top Black Friday & Cyber Monday air compressor deals you should totally check out. 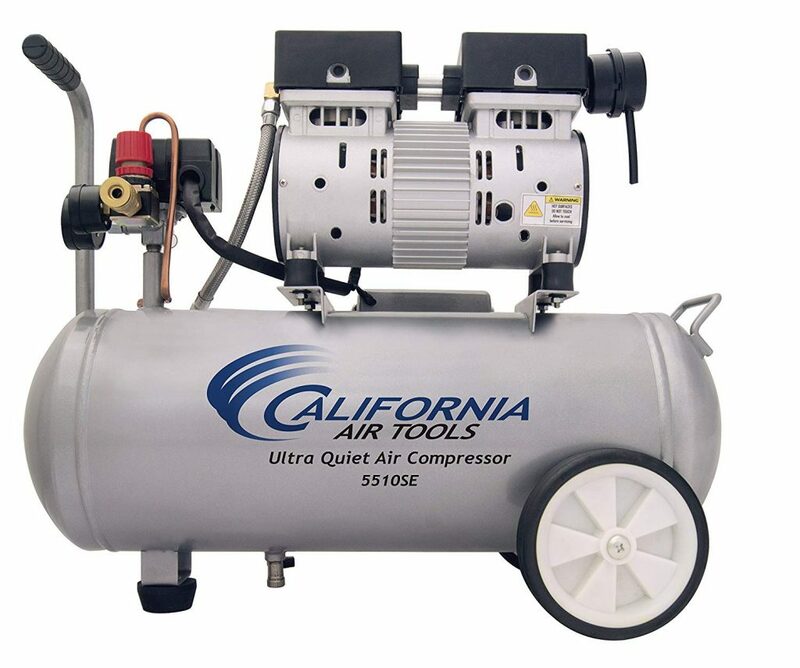 California Air Tools 5510SE Air Compressor requires less maintenance than other models, making it one of the best brands to get this Black Friday. With a 40% discount, you should seriously consider buying it. This air compressor has an oil-free pump which delivers cleaner air for a more efficient performance. And with its new SP Series of Ultra Quiet Air Compressor Motors, it's able to run for a long time without overheating. Plus, it runs at only 60 decibels, making it ultra quiet. 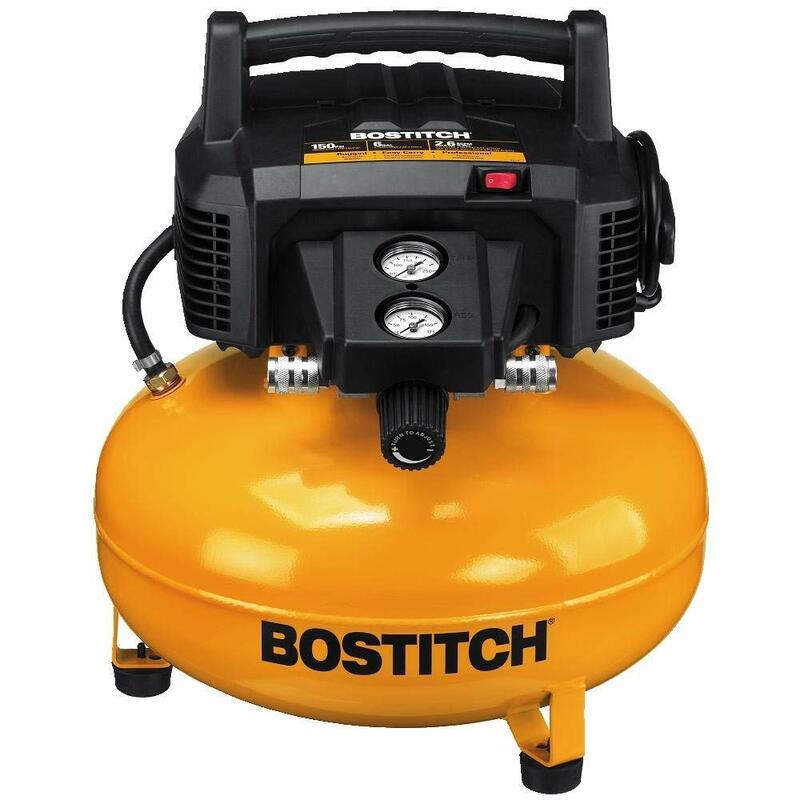 Bostitch BTFP02012 6 Gallon 150 PSI Oil-Free Compressor, on the other hand, requires no daily maintenance. Also, since it's oil-free, there's no need to worry about leaving oil stains on surfaces. It features a high-flow regulator as well to ensure maximum air tool performance.In addition to that, this air compressor is also easy to start, thanks to its high-efficiency motor. It also has 2 universal couplers that allow it to support 2 users. 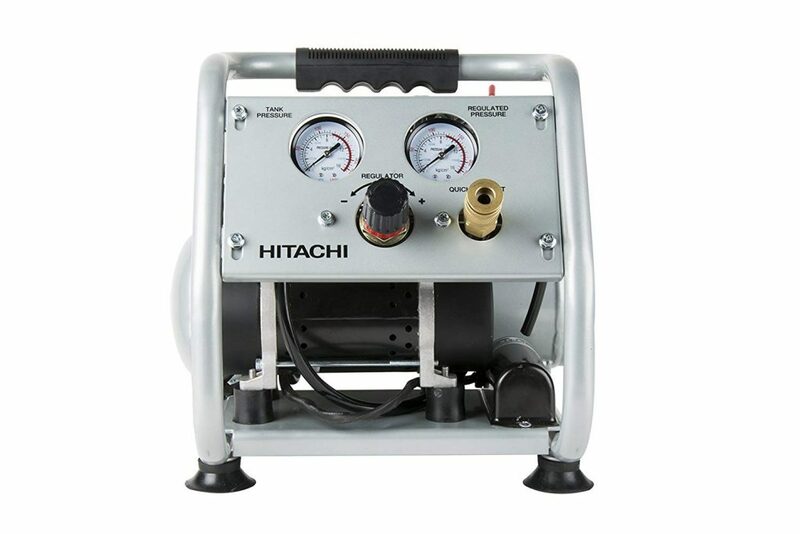 You can get this air compressor at 23% less its retail price this Black Friday sale. 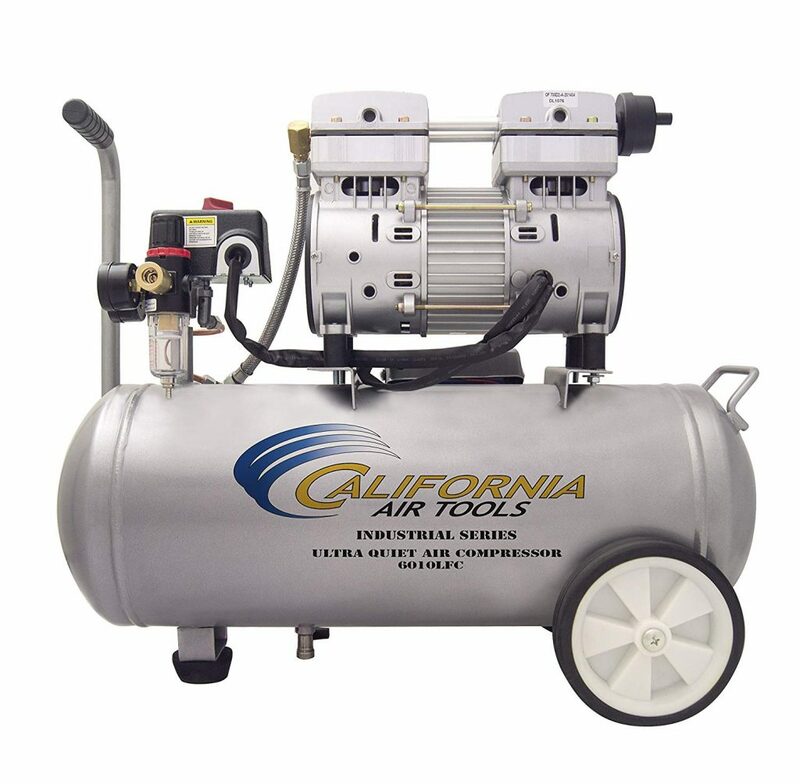 If you’re looking for an air compressor that you can easily transport, then this air compressor from California Air Tools is the perfect choice. It runs at only 56 decibels which makes it super quiet. Apart from that, this compressor also has a large 1-gallon capacity that only weighs 29 pounds. This means that you can use it for a longer time than most models.The air compressor works really well in inflating and cleaning tires, toys, sports balls and beds. And if you get it today, you'll be able to save more than $50. 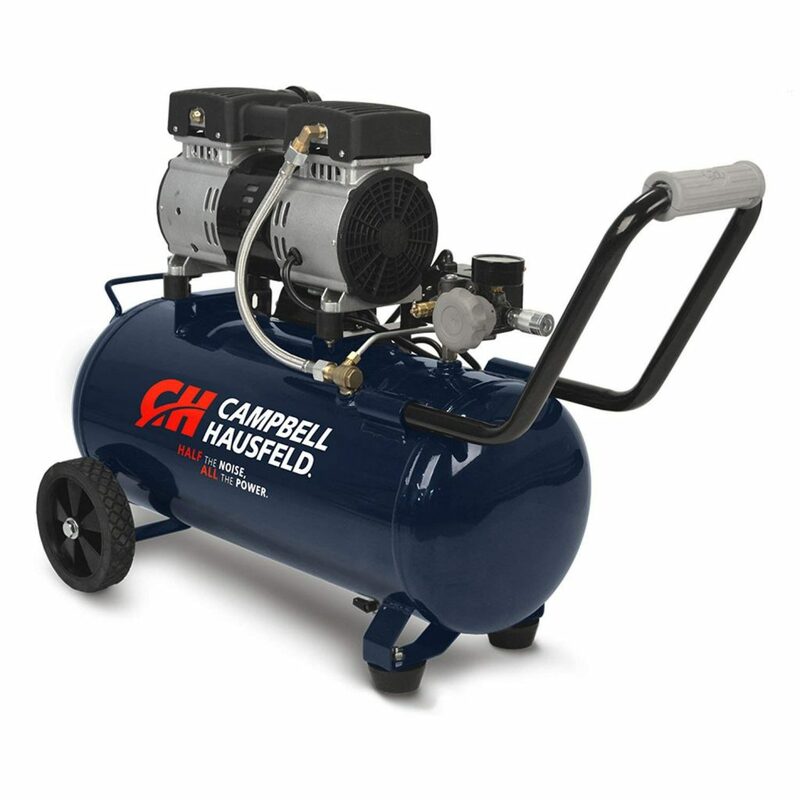 Campbell Hausfeld Portable Quiet Air Compressor has components that can last for about 4x longer than other brands. It's particularly designed for hobby painting, inflation, stapling and nailing. And with a maximum PSI of 125, it can help you complete your projects fast. This hardworking air compressor has an 8-gallon capacity. Despite that, it's still portable and easy to transport with its large wheels and rubber-grip steel handle. 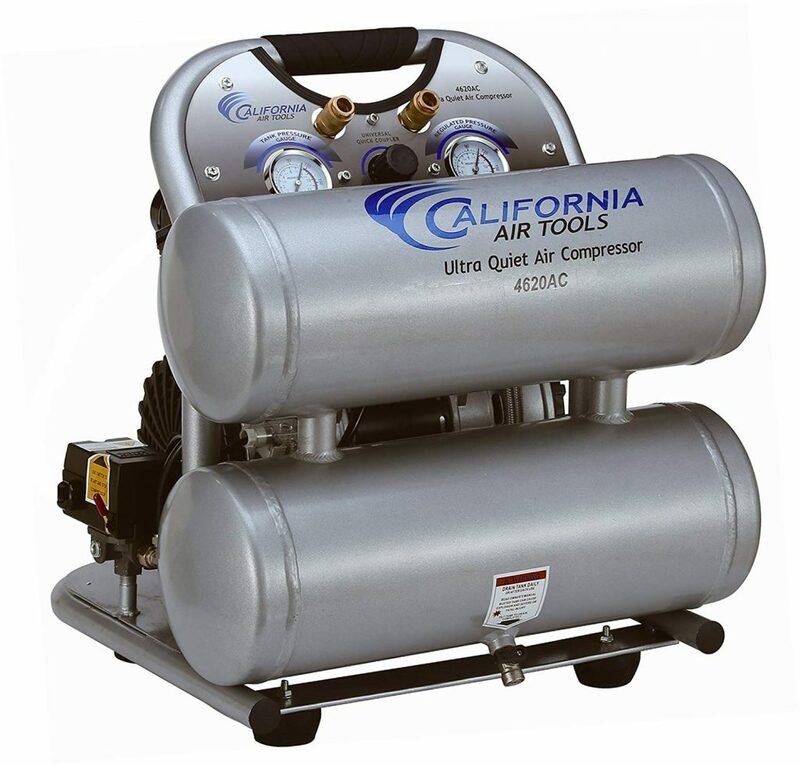 California Air Tools CAT-4620AC Twin Tank Electric Portable Air Compressor offers power with its 2.0 HP motor. It's able to operate at 1680 RPM, allowing it to create less noise and experience less wear even if you run it continuously. Its Oil-Free Dual Piston pump, on the other hand, allows for use in uneven terrains and a variety of temperatures. You’ll be able to get your hands on this compressor on this Black Friday sale at up to 41% discount. 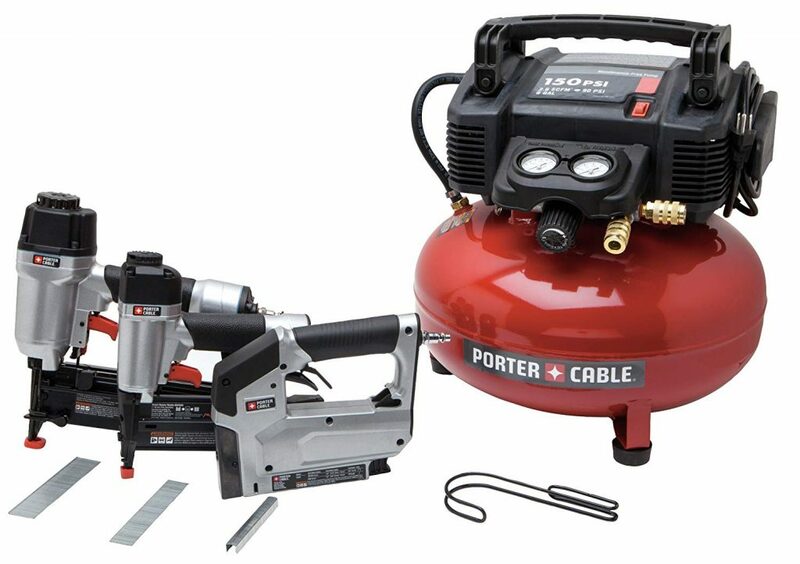 If you are looking for a complete air compressor set, this 3-tool combo kit from Porter Cable is one of our most recommended tools this Black Friday & Cyber Monday sale. This unit comes with a 6-gallon pancake compressor, a finish nailer, brad nailer, and crown stapler. Apart from those, you'll also get a 25 feet air hose with a coupler and plug as well as fasteners you need to get your projects done. All of the extra tools that come with this kit are durable and maintenance-free. On top of that, you’ll be able to save $21 by buying this tool this Black Friday, make the air compressor a really good purchase. Hitachi KNT50AB Brad Nailer and Compressor Combo Kit also comes as a set. It includes a brad nailer that's easy to maneuver, a pancake compressor that's reliable in operating multiple nailers, and a hybrid air hose that's durable and heavy duty.Apart from those, you'll also get a pair of safety glasses and a pneumatic tool lubricant. The kit is perfect in creating a wide variety of cabinetry projects. 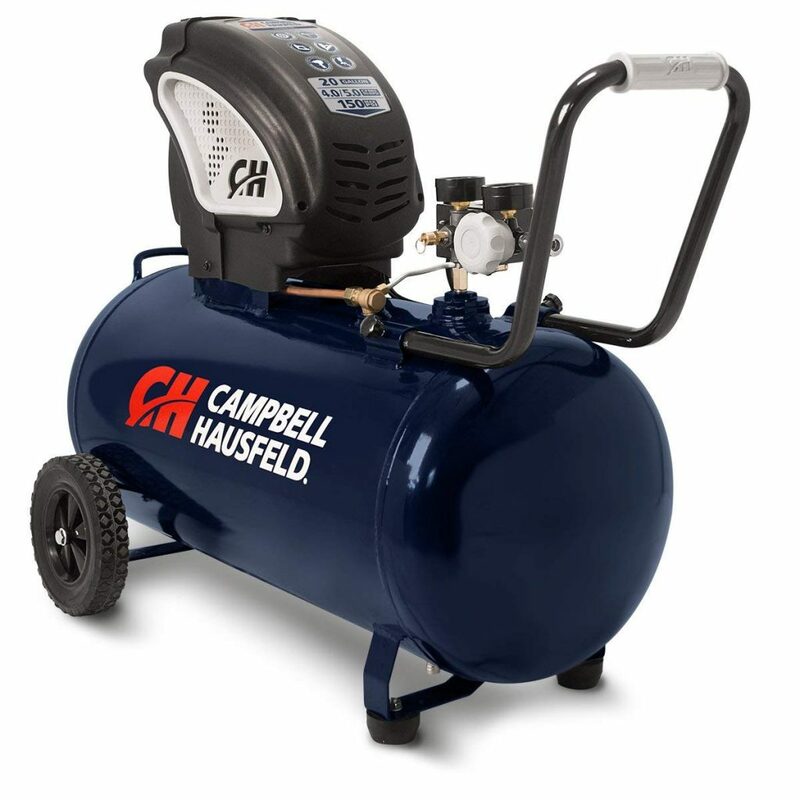 This air compressor from Campbell Hausfeld has a horizontal design which means you'll be able to transport it with ease. It houses a 1.3 motor HP which you'll find reliable in completing the majority of your DIY projects.The machine is easy to operate and requires no maintenance. It also features an easy-to-read panel so you'll have more control over air manipulation.Get this today and save as much as $24 this Black Friday. 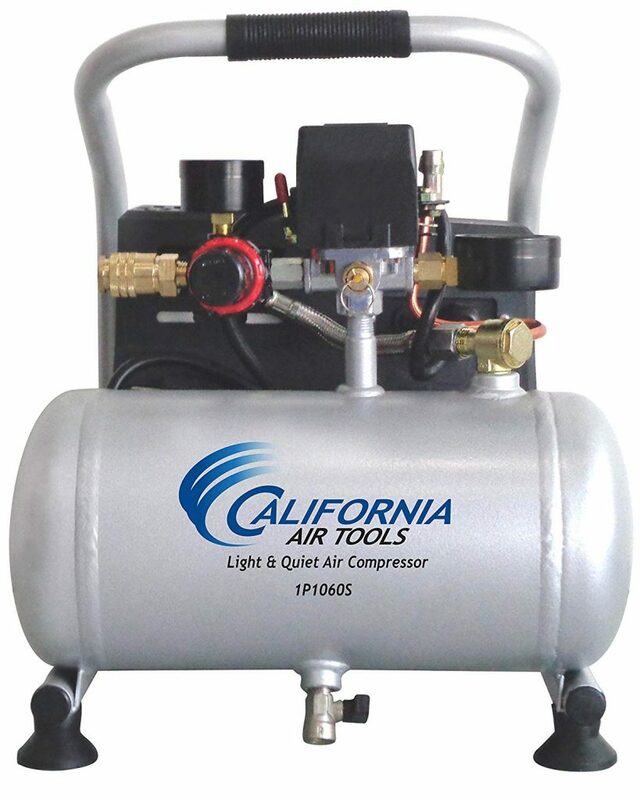 This is another air compressor from California Air Tools. Compared with the other models on this list, it has a motor/pump that's been tested for a minimum life of about 4000 hours before experiencing wear. That's about 30% longer than other brands.In addition to its durability, you'll love how quiet it is when in use. Plus, with less maintenance required, it can save you money and time. You'll save even more since it's available with a $65 discount only in this Black Friday & Cyber Monday sale. 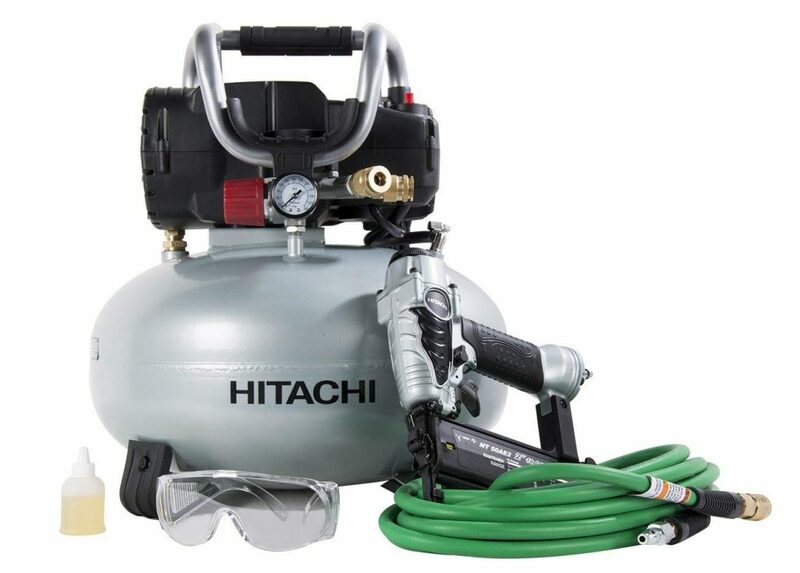 Last but not least is this air compressor from Hitachi. What makes it a great choice this Black Friday is its stainless steel braided discharge hose that's designed to resist corrosion and stay flexible for a long time. It also has this control panel that protects the plumbing and gauges while centralizing all of the controls for easier operation. Picking the right air compressor for you depends on a wide range of factors. However, if cost and ease of operation are your primary concerns, this quick guide on the best air compressor Black Friday deal should be able to help you make the right decision.